"Trading at [5.5] before today's race Samcro was quickly cut to [3.5] after an easy victory." The sky is the limit for the Gigginstown-owned Samcro as he continued his unbeaten run, this time in the Grade 3 Monksfield Novice Hurdle at Navan racecourse, making it six wins out of six for the Gordon Elliot-trained horse who heads the market in the Ballymore Novices' Hurdle at the 2018 Cheltenham Festival. Trading at [5.5] before today's race he was quickly cut to [3.5] after an easy victory. 2m4f looks to be his ideal trip. He is arguably the most exciting novice hurdler heading to the 2018 Cheltenham Festival. We also seen the return of the Willie Mullins-trained Min this weekend. He returned with a very comfortable 36-length victory, jumping soundly throughout despite jumping the first fence a bit big. The Rich Ricci horse went off 1/9 favourite so an easy win was very much expected in his first run since victory in the Racing Post Novices' Chase at Leopardstown last Christmas. 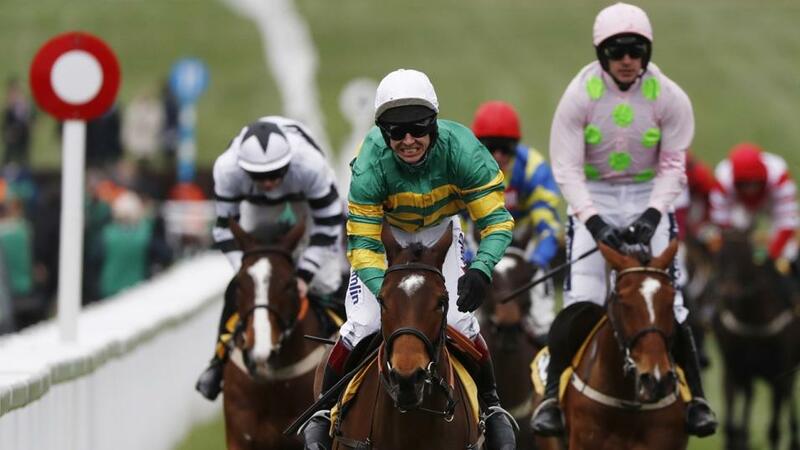 Min is currently trading at [7.0] for the Queen Mother Champion Chase and [13.0] for the Ryanair Chase. Bristol De Mai won the 2017 Betfair Chase on Saturday in fine style as he beat nearest rival Cue Card by an emphatic 57 lengths. The Nigel Twiston-Davies-trained six-year-old put his rivals to bed with ease and he now heads to the King George on Boxing Day before going for the Cheltenham Gold Cup in a bid to win a £1m Jockey Club Bonus. He currently trades at [12.5] for the Gold Cup where he will look to take on horses such as Thistlecrack, Might Bite and the 2017 winner, Sizing John. The JP McManus-owned Defi Du Seuil returned to action at Ascot on Saturday but put in a disappointing performance for his trainer Phillip Hobbs. The 2017 Triumph Hurdle winner was unbeaten until his poor weekend display at Ascot. Before Saturday's race he was trading at [9.0] for the 2018 Champion Hurdle but after the race drifted to [17.0]. Hobbs reported that there was no obvious excuses for the run and they will monitor him closely in the coming days. Top Notch outlined his Festival credentials in the Christy 1965 Chase at Ascot on Saturday. The Nicky Henderson-trained runner cruised to victory, beating closest rival Double Shuffle by eight lengths. He currently sits at [10.5] near the top of the Ryanair Chase market alongside Un De Seaux, Fox Norton & Top Notch.